Import a colourbar from a text file. In the Control Panel, open the Class tab. 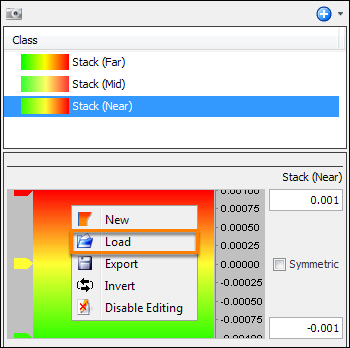 In the tree, select the class which you want to load a colourbar. Right-click the colourbar in the Details Panel and click Load. By default, it will take you to the folder where all the default colourbars that come with Insight are kept. 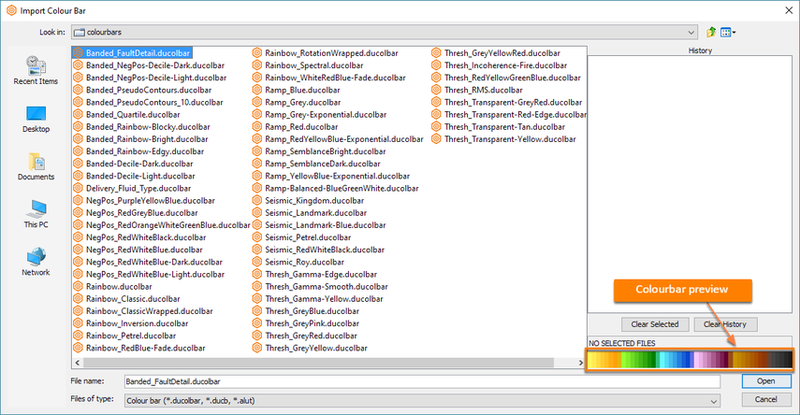 In your machine, these colourbar files are found in the directory where you installed Insight. Select the colourbar file you want to use. A colourbar preview will appear below the History box. 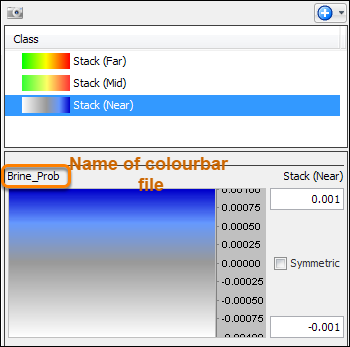 Also, to see a graphical representation of each colourbar, see Colourbar Naming Convention. Tip: Apart from loading a .ducb colourbar file, you can also load a colourbar file with the .alut extension to use the Petrel file format and .ducolbar files. Once loaded, the name of the selected colourbar file will be displayed on top of the colourbar.